Well, it turns out that the rumors were on the right track. The Motorola XOOM 2 and its little brother, the XOOM 2 Media Edition, will both carry the DROID XYBOARD branding when they launch on Verizon. Furthermore, both tablets will be equipped with LTE radios and will be out in the U.S. before the year's end, as the carrier stated. 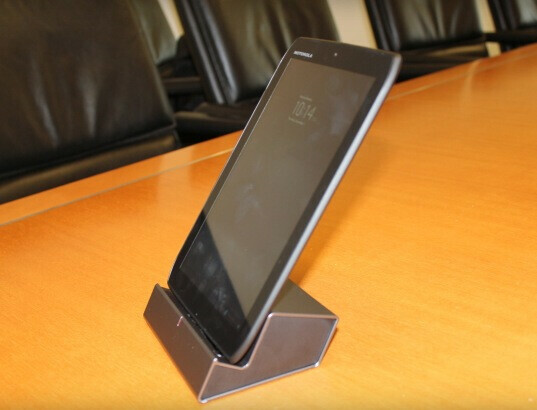 The Motorola XOOM 2 is a 10.1-inch tablet that was unveiled in the U.K. about a month ago, along with the 8.2-inch XOOM 2 Media Edition. 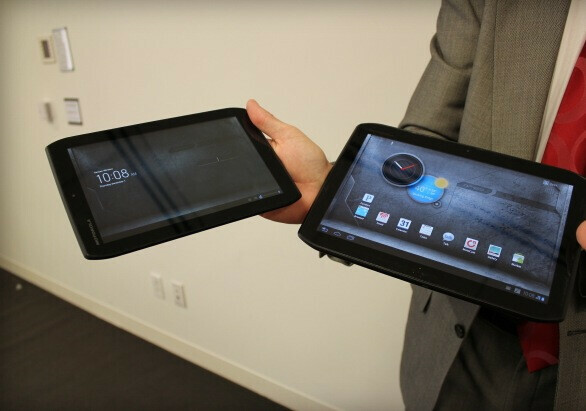 Both of them run Honeycomb and are thinner than the original Motorola XOOM. In terms of hardware, the tablets are pretty similar as they are both powered by a 1.2GHz dual-core processor backed up by a gig of RAM and have a pair of cameras – a 5-megapixel one on the back and a 1.3-megapixel front-facing shooter. 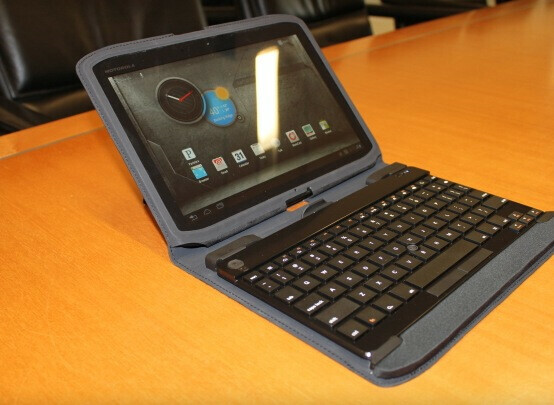 The Motorola XOOM 2 and XOOM 2 Media Edition will carry the DROID XYBOARD branding"
However, while the 10.1-inch XYBOARD will come with a stylus and will be targeting business customers, its 8.2-inch counterpart will be more of a media-centric device as it comes with virtual surround sound and... a subwoofer. When it comes to accessories, a keyboard and cover combo is in stock for the 10.1-inch tablet, and a docking station will be offered for the 8.2-inch model. Bear in mind, that neither Motorola nor Verizon provided a full list of the XYBOARD tablets' tech specs, so their hardware might still vary from that of their European variants. Their price was not disclosed either, but if the rumors are to be trusted, $529 is what the 10.1-inch model will cost. Um. Xyboard? Is that supposed to be a homophone for "cyborg"? Silly name meaning nothing... good job, Moto. Yay! A 2-year contact on a tablet that will be obsolete in a month. No offense to anyone, but my smartphone does everything that these tablets do plus more. I'll stick with my laptop for the time being, it's small enough. No bueno, Verizon. the Droid branding will definitely help these things get out the door. i can't wait to see the marketing campaign they throw for these things. i'd take a Media Edition myself for a good deal. Hey! I have one of these now, but mine makes phone calls, has a smaller screen, fits in my pocket, and costs less! Plus its way more handy! And better battery life! Its called a Droid RAZR. Seriously...this is stupid. IF most people actually had a real good excuse to need a tablet...just get a Asus T-Prime. 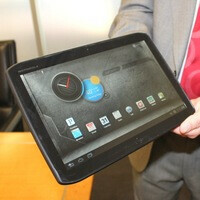 Maybe Motorola hates tablets. Xyboard? Really? !